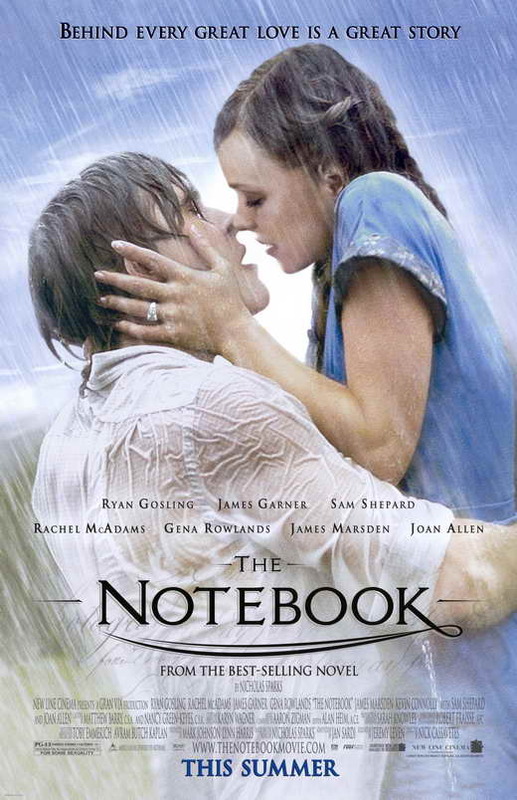 I don't remember the exact time I watched this movie, but it sure is a long time ago—even before I started reading Nicholas Sparks' books, I think. 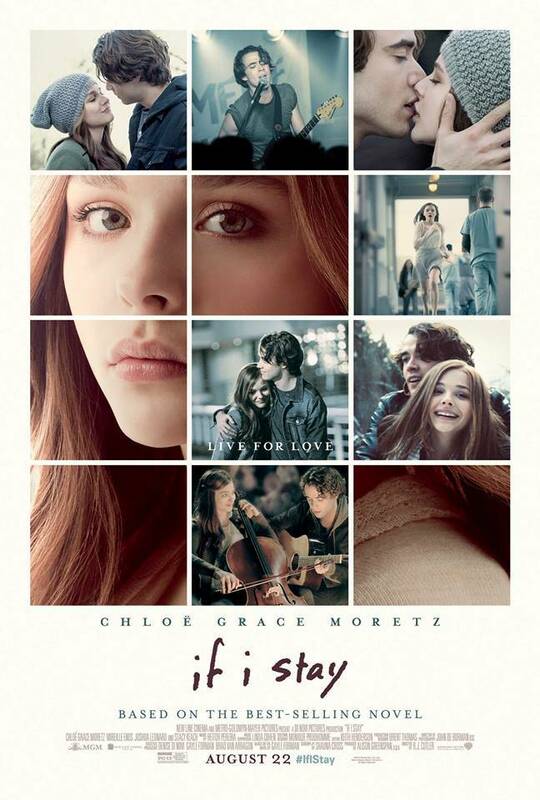 This movie managed to make me cry buckets, and it's probably one of the best romance movies I've watched. 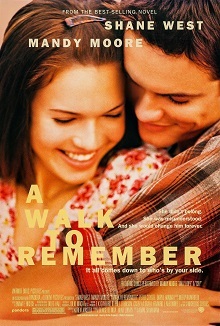 Only later did I knew this was adapted from a book; and when I started reading all of Nicholas Sparks' books, I also read the original story of A Walk to Remember. And I actually think that I liked the movie better. I read and watched the movie in 2014, because it was one of the best books I read that year. I'm really happy because the movie did justice to the original story; and I'm pretty sure I would cry a lot more if I didn't know about the ending beforehand. The book is amazing, the movie is heartbreaking. Love this story so much. I think the characters will stay in my heart forever. I'm pretty sure you all know what this is about because it's really hyped and it's a pretty recent movie adaptation. I absolutely adore the story of Hazel and Augustus and also all the quotable dialogues. I'm really satisfied with how the movie adaptation turned out because it wasn't too different from the book. Again, I will probably cry harder if I didn't know about the ending as I'm watching the movie. I was prepared for it, I guess. But yet, I'm still incredibly sad, because I love Augustus so so much <3 One of my favorite book boyfriends ever; and Ansel Elgort is perfect as Gus. I don't think this movie was really popular when it premiered; but since I absolutely love the book, I still enjoyed the movie adaptation well. It is indeed a lot different from the book, because the original story had so much more happening compared to the movie. It's a heartfelt story about family and how the main character struggles after losing his father during the 9/11 incident. Oh, and I also cried at the end of the movie. I think most of the movies on this list made my cry. 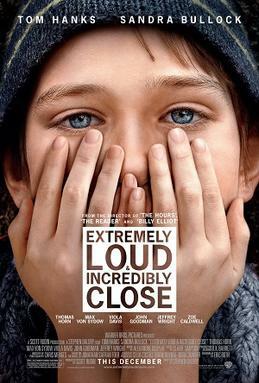 Another movie that breaks my heart. I know this movie is quite old but I watched it early this year because I just found out about it. 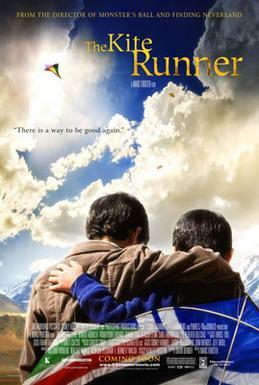 The Kite Runner is one of my favorite books ever and it made me fell in love with Khaled Hosseini's writing. And I feel like this movie was able to deliver the important message that is within this heartbreaking story about friendship and life in general. I read the book about 3 years ago and absolutely loved it; it talks about family, friendship, romance—all the typical young adult stuff. The story made me teared up multiple times, and the movie adaptations managed to do the exact same thing. 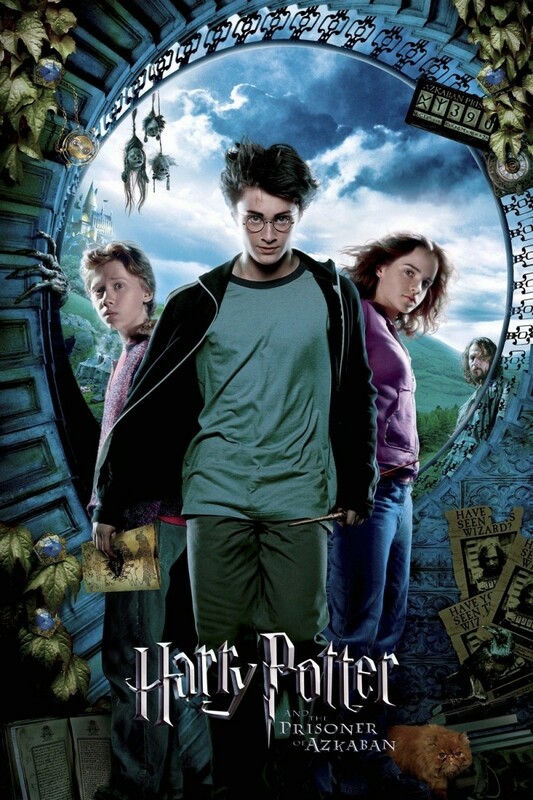 And even though there are some differences between the movie and the book, the movie adaptation successfully portrayed the emotions that was in the story. FYI, I cried heaps while watching this movie. I know, I'm such an emotional wreck. I was more than 10 years late in watching the movie adaptation because I only started watching it after I finished reading the trilogy. And it took me almost a year to finish watching all three movie adaptations because I had such a difficult time sparing 4-5 hours to watch each movie. But it was all worth it. The movie adaptation is so epic and freaking cool. 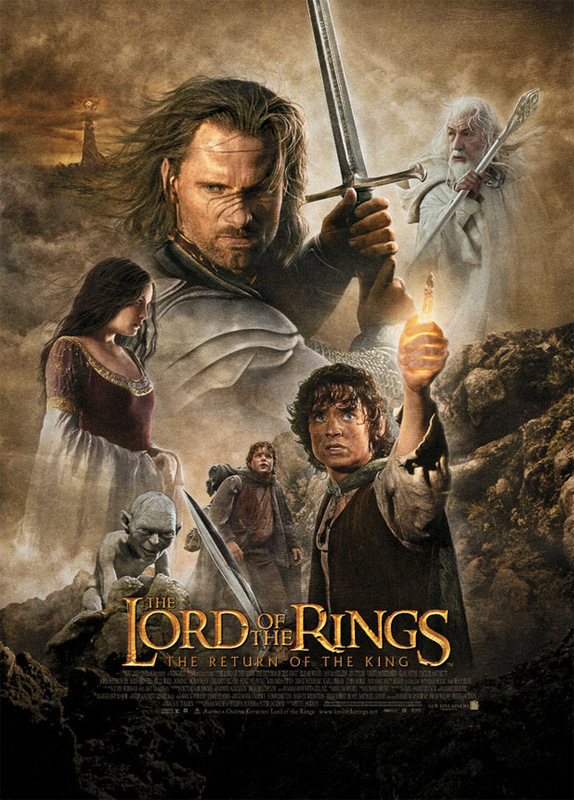 Even though it's been more than 10 years since the movie was released, I still think it's one of the best movie adaptations ever. I can even say that the movie are better than the books at some point. Definitely an all-time favorite. 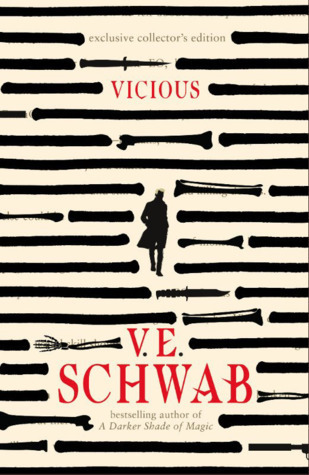 Another pretty recent movie adaptation even though the book is really old. 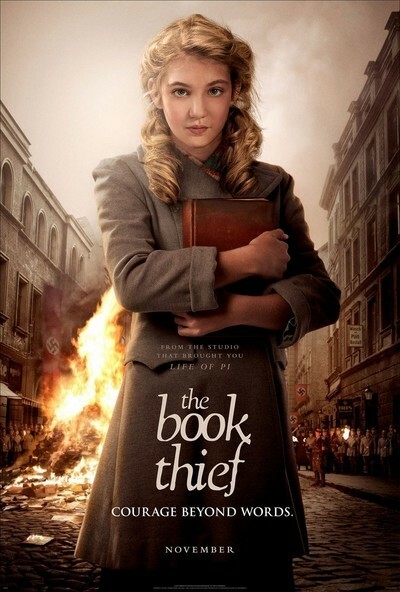 I read the book in 2012 and the last part of the movie adaptation was released late 2014. I'm glad Peter Jackson decided to adapt this book into a movie because I think he's the only person who's capable of doing it right. My favorite out of the three is probably The Hobbit: The Battle of the Five Armies, because that war scene is so epic. 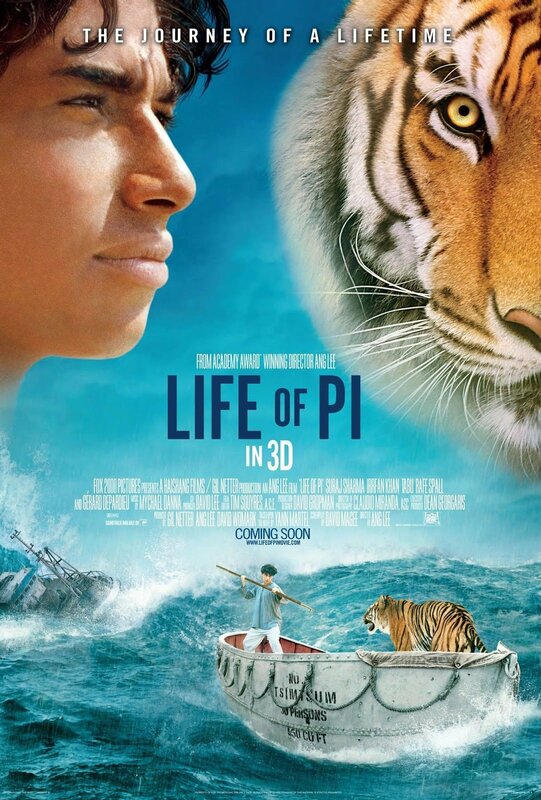 Even though there are a lot of changes made in the movie adaptation, I still think it's very well done. 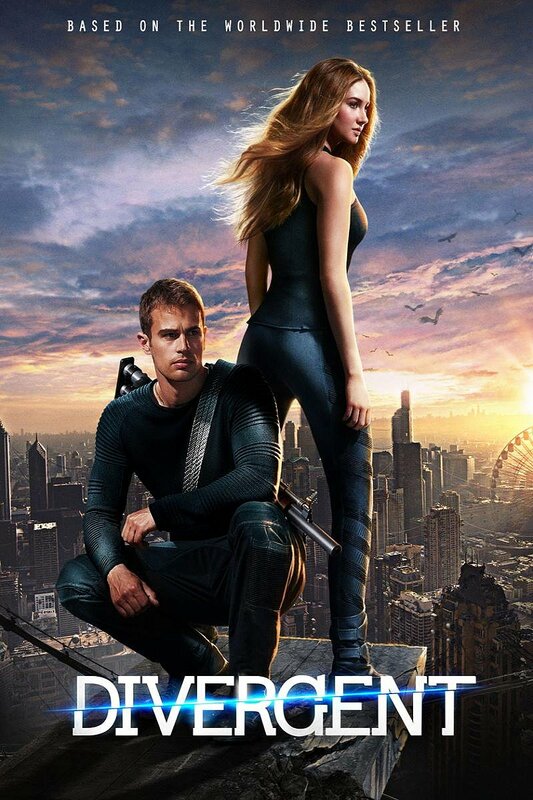 The dystopian theme is the trend these days; thus a lot of dystopian novels are being adapted into movies. The Divergent trilogy has a very interesting world with all the factions separating people according to their personalities. I thoroughly enjoyed the trilogy and I'm happy to see it come to life int he movie adaptation. I think I liked the first one better than the second; because the movie adaptation for Insurgent changed a lot of the plot in the book. But still, it's action-packed and fun to watch. The Hunger Games is the very first dystopian series that I've read and I obviously loved it so much—especially the first book. And even though the movie adaptation wasn't as violent as the book, it still did a pretty good job portraying the characters' feelings and conflicts. As the story progressed, it dwells a lot more on the political conflict. And I'm really excited to see the last installment in the movie adaptation which is set to premiere in November! I picked up the book Gulliver's Travels because I really enjoyed the movie—which was really funny. But it turns out the original book is a classic and it's nothing like the movie. I think the movie adaptation just took the general idea and kind of develop the story on their own. I'm really thankful for that because the book was so boring, I didn't even finish it. On the other hand, the movie was so entertaining; it's really fun to watch. I don't remember exactly when I watched this movie but I think it's quite a long time ago. 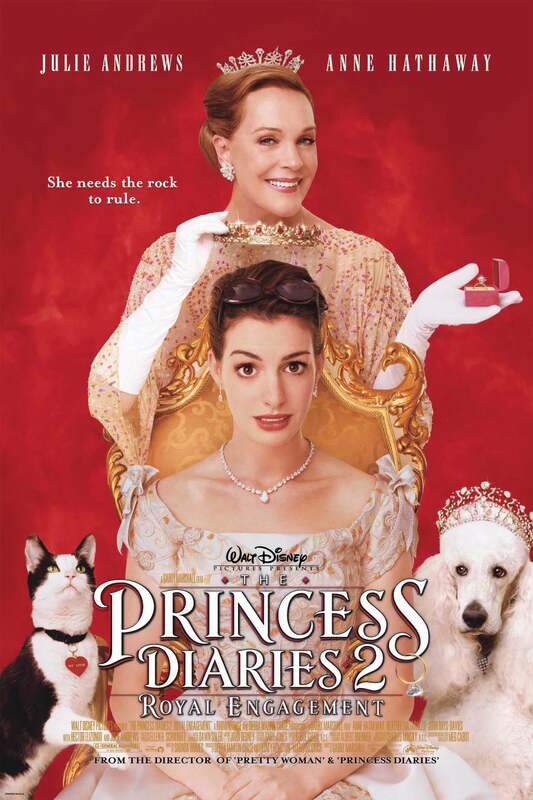 It's a typical Disney movie that's pleasant to watch at any age, and I absolutely love Anne Hathaway in this movie—she's done such an incredible job at portraying the main character who starts off as an ugly duckling turned into a princess. I never read the book and probably never will, because that series so long! I only just knew that this movie franchise is actually adapted from a book when I was doing a research for this post! It was a picture book by William Steig that was published in 1990. I always have a soft spot for animated movies and Shrek! is one of my favorite animated movies ever (along with Monsters, Inc., Finding Nemo, and many more). Out of all the Shrek! series, I liked the first one best. I'm not sure if people these days still remember this movie, because for me Jumanji is such a legendary movie. I think I watched it when the movie aired in Indonesian television with all the dubbing and stuff—but back then I love it so so much. I really love the idea behind the story in which the main characters played a board game and one is sucked into it until he was released twenty-six years later. Anyway, it's quite hard to explain but it's amazing! It's a family movie that I'm sure will be enjoyed by everyone. I watched this in school because we read the book for English class. We also watched a lot of other movies adapted from Roald Dahl's book including James and the Giant Peach and The Witches—which are also really old movies. 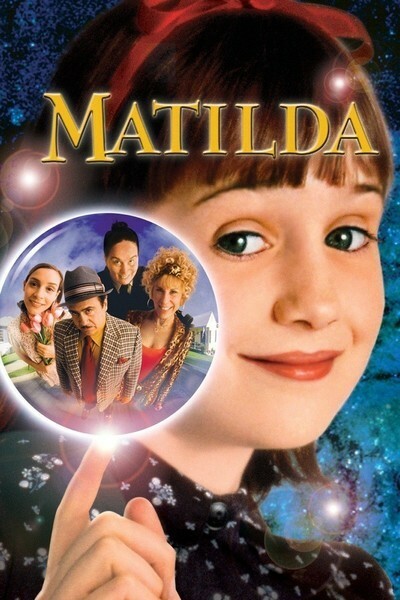 But out of all that I've watched I think Matilda has a special place in my heart especially because of the main characters' love for reading. Phew, that was quite a long post. I actually still have several more movie adaptations that I wanted to include in this post, but I reckon this post is already long enough as it is. 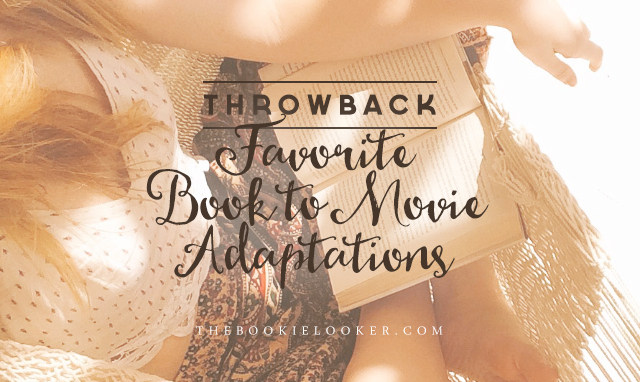 As I've said earlier, feel free to recommend me your favorite book to movie adaptations in the comments below! You can probably judge my taste in movies according to my list above. I always love movies that are heartwarming, funny, and overall entertaining to watch. 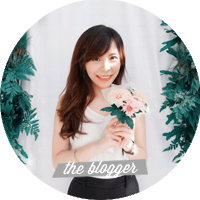 I'm still thinking about what topic to discuss on my next Throwback post, so if you have any idea, please write it in the comments as well :)) Okay, bye! Sejauh ini sih film adaptasi buku kesukaanku trilogi How To Train Your Dragon, tapi masih bingung beli bukunya apa nggak soalnya katanya plot filmnya lumayan melenceng dari buku. Terus ada juga Still Alice, belum nonton filmnya sih, masih nyoba baca bukunya dulu.